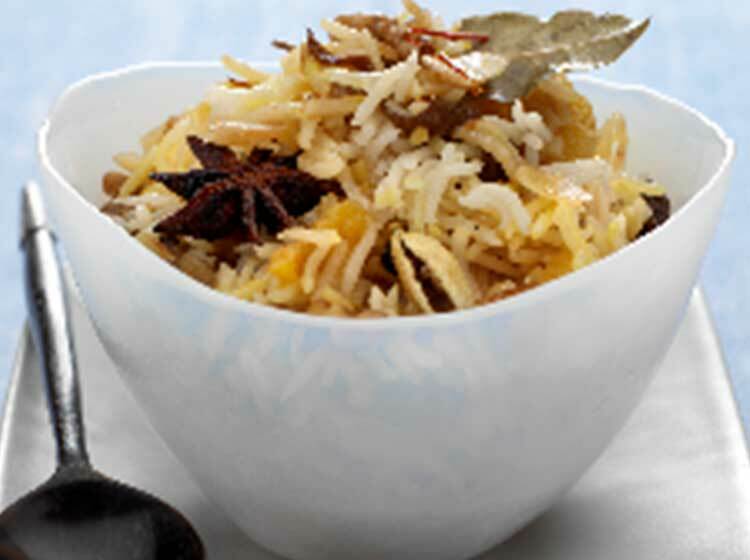 There is a wide variety of pulao in Indian cuisine ranging from the simple to the exotic. This is a fairly straightforward and simple recipe. Wash the rice gently in cold water until the water runs clear. Soak for 20 minutes and leave to drain in a colander. In a heavy based saucepan, melt the ghee or butter over a low heat and add the cinnamon, cardamom, star anise and bay leaves. Let them sizzle gently for 20-25 seconds and add the rice, turmeric and salt. Stir to mix well.